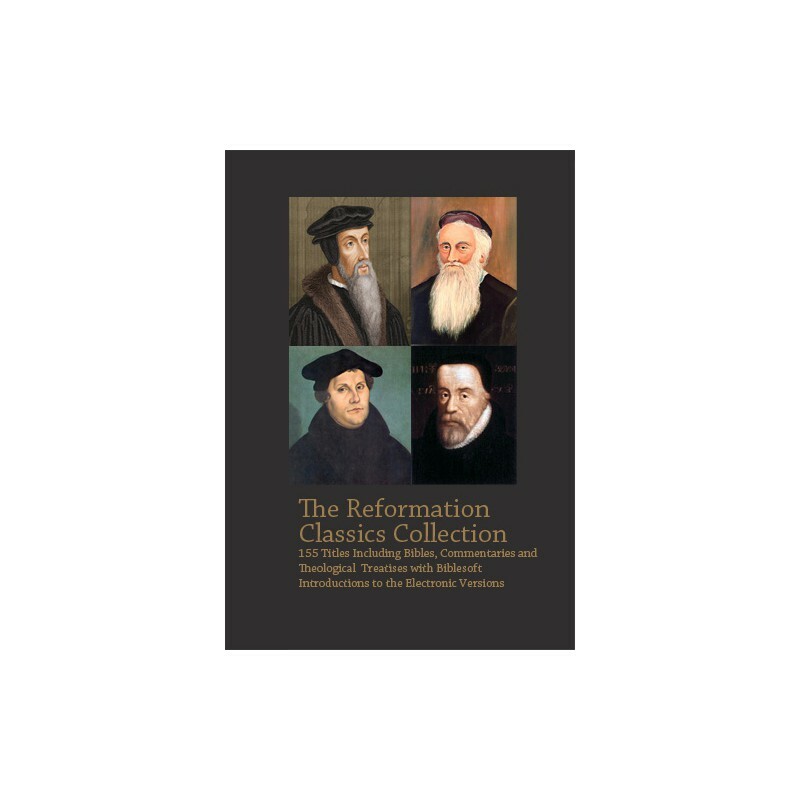 This is a 155-volume mega collection of the works of the major leaders of the reformation including John Calvin, Martin Luther, Menno Simons, Thomas Cranmer, Thomas More, Hugh Latimer, Nicholas Ridley, John Bradford, Michael Sattler, William Penn, Caspar Schwenckfield, Jacob Bohme,Thomas Muntzer, and Hans Denck. 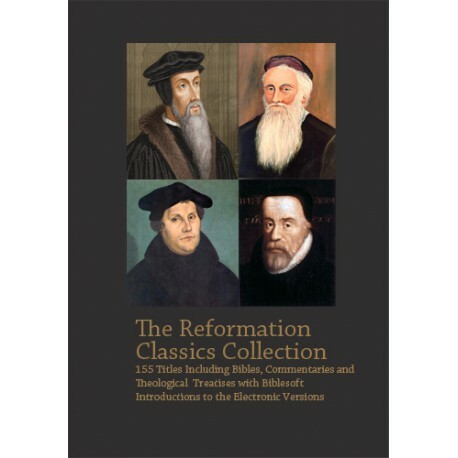 Biblesoft’s Reformation Classics Collection is one of the most complete collections of the works of John Calvin, and it includes all of the important works of the major reformers Martin Luther, the Anabaptists, Quakers, Mennonites, the English and Spiritualist Reformers. Also included is the Tyndale Bible in the original English and Old Testament Pentateuch and Jonah. The Tyndale New Testament of 1525 was the first English translation based on the Greek and the first English Bible to be printed. It was the forerunner to the Wycliffe Bible, which was based on Latin and published only in hand-written manuscripts, and the King James Bible. Also included is Luther's German Bible Translation and the Lutheran Book of Concord. This amazing volume of work is possible only after months of intensive topical tagging and of course all Scripture references are tagged with hover capability with the addition of our free upon request Features-Plus 5.2. Also added for greater study access are appendixes for more information and indexes of content by topic and Bible reference. Compare for your Reformation reference study needs, we think you'll agree that Biblesoft’s Reformation Classics Collection is the best value for your budget. To see a complete listing of the works in this collection, click "Excerpt" above. Note: If your library does not include Calvin's Commentaries (Complete, Advanced and Professional Reference Libraries) please login to see your deep discount upgrade price, or contact Customer Service.